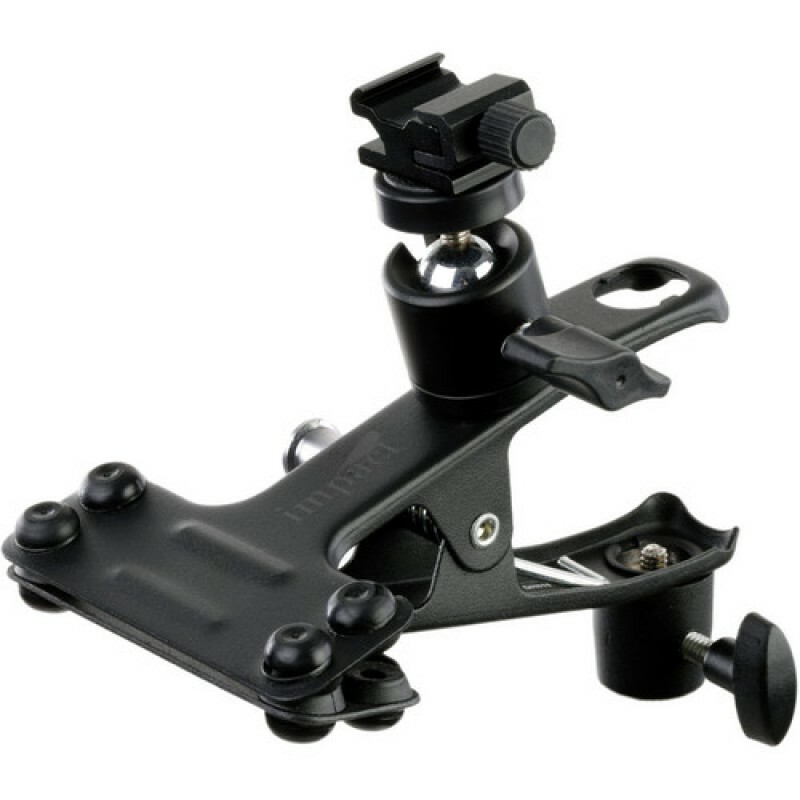 This is the Large Clip Clamp with Ball Head Shoe Mount from Impact. 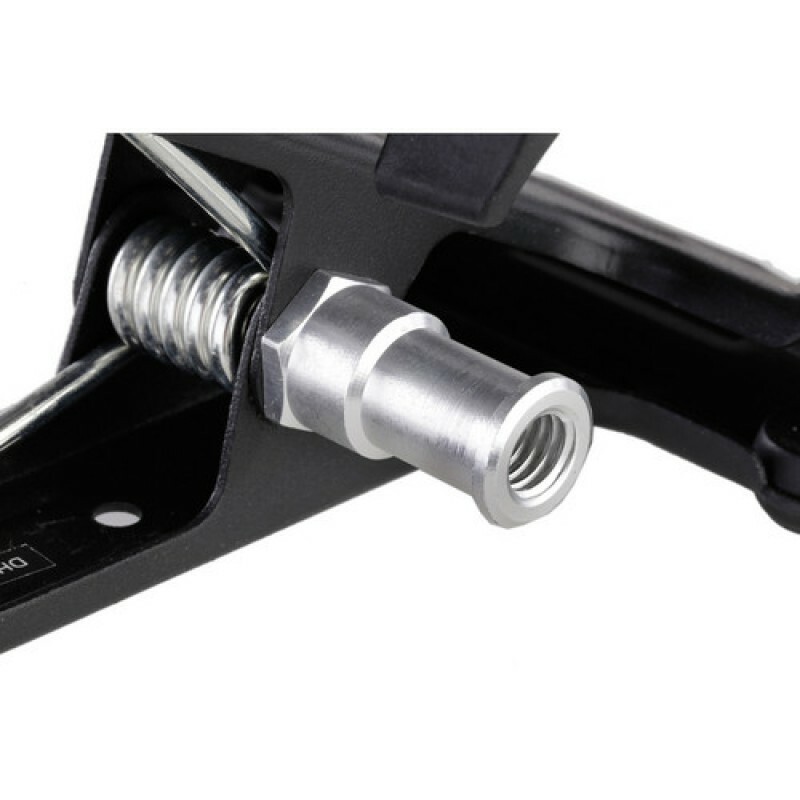 It clamps onto bars up to 1.6"" in diameter. The clamp has a 5/8"" male stud and a 3/8"" female socket. 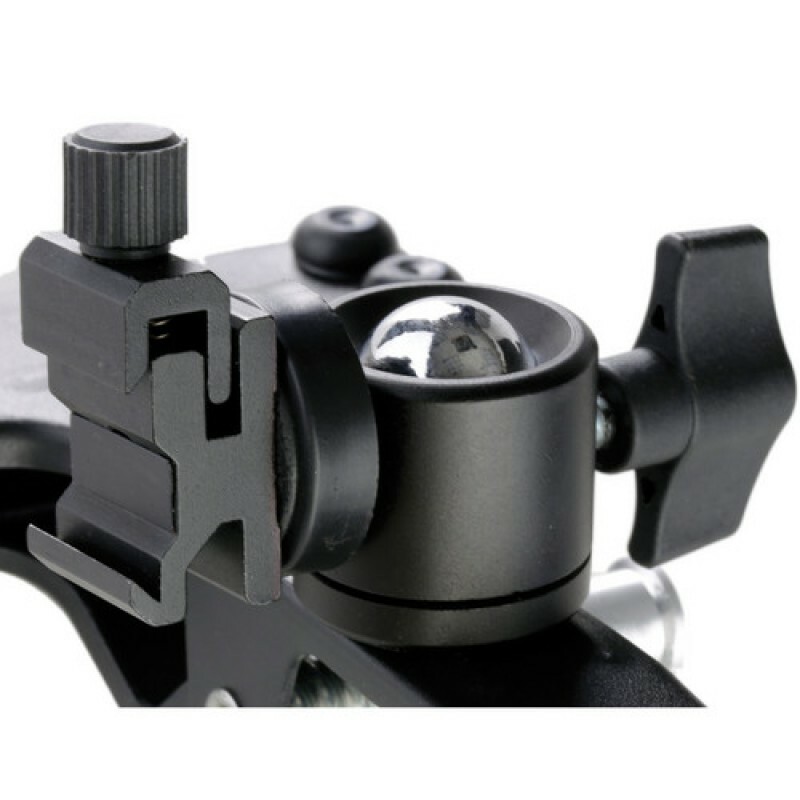 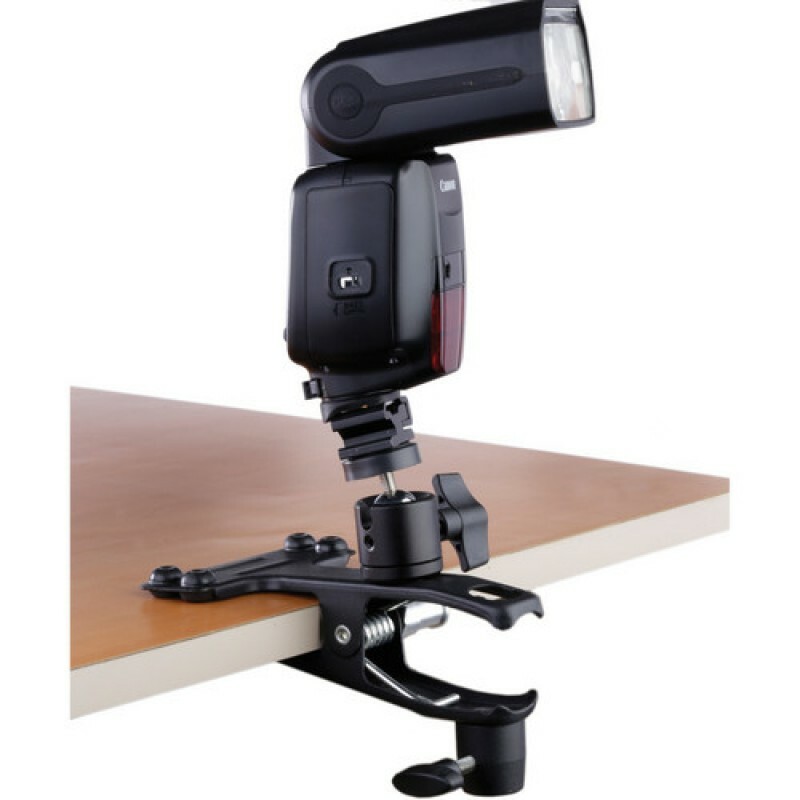 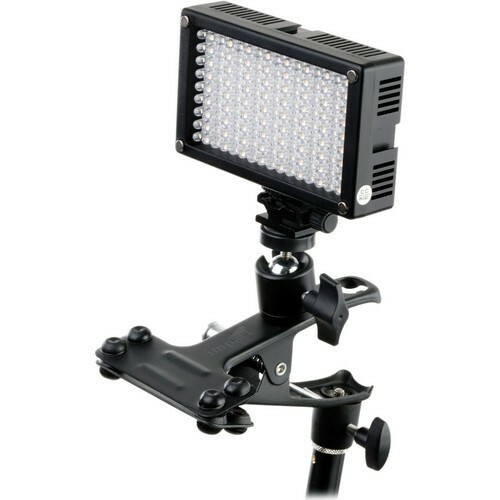 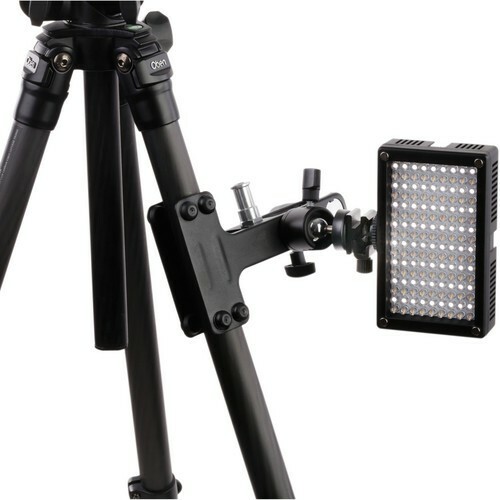 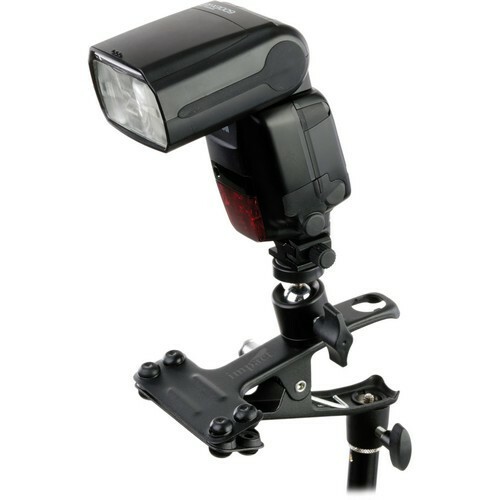 The attached mini ball head features a shoe mount, which can be used to hold a flash or other shoe mountable accessory.